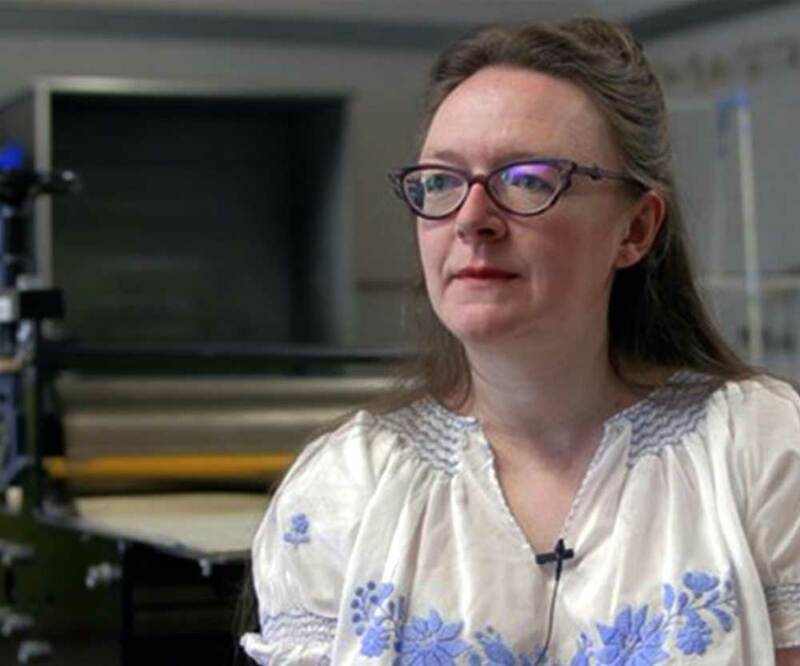 Lizzie Hughes makes meticulously detailed works that are often produced following long periods of obsessive research. 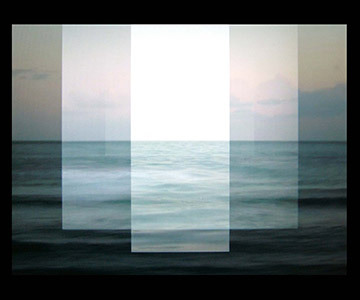 Her approach to collecting and then structuring data has allowed her to remotely explore distant landscapes and briefly enter the private worlds of others. 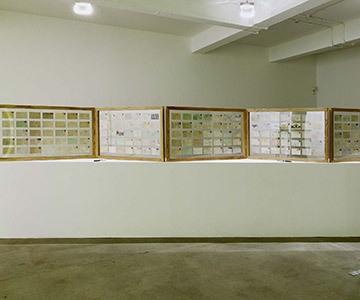 Her work provides an access to structures and networks so massive or complex that they defy comprehension, and while the obsessive act of making her work appears futile, something important is revealed. 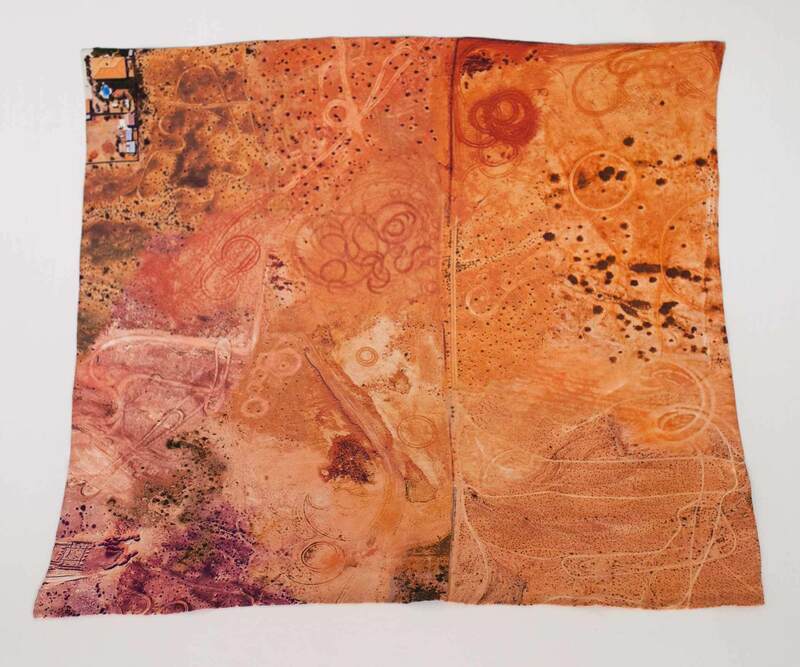 Silk scarf printed with satellite images of skids and donuts in the Nevada desert. 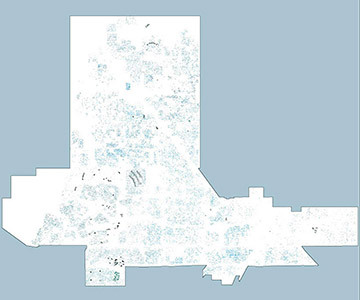 A digital drawing that traces all of the swimming pools within the Las Vegas city limits. 4,007 photographic images of the horizon (one for every ten Kilometres of the earth's circumference) are sourced from popular photo sharing websites, cropped to remove any reference points and organised on a timeline according to colour. 210 postcards all sent from Paris in the year 1909. The handwritten message on each card references the weather at the time of writing.